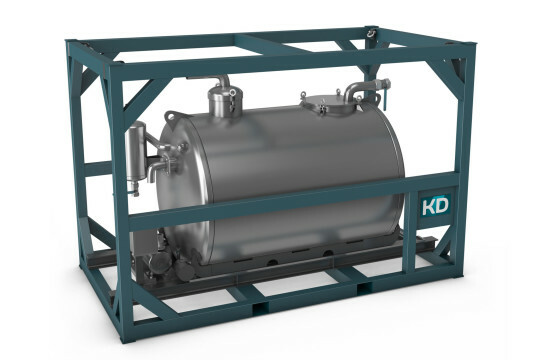 KD offers the VU4000 and VU6000 offshore mud vacuum units to clear drippings and spillages of daily drill floor operations. Our vacuum unit collects, stores and moves drilled cuttings within a totally enclosed environment, minimizing spills and contamination. The unit can be moved from one location to another in a minimal amount of time and minimizes the amount of floor space required for operation. Further, the unit does not interrupt the drilling operation. The pump with superb performance and high reliability is connected to a robust frame and vacuum tank with adequate capacity.